The Friends of Paxton Pits Nature Reserve are delighted to support the proposal to designate the Great Ouse as an Area of Outstanding Natural Beauty (AONB). 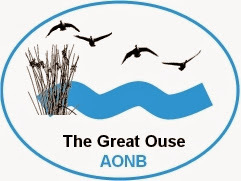 The Working Group, who are championing the designation of the Great Ouse Valley as an AONB, have been invited to submit an initial bid for AONB status. The Group are very pleased that the proposals for the Ouse Valley will be included in Stage I of Natural England’s sifting and prioritisation process for new and amended protected landscape designations. They intend to submit a robust case for the Ouse Valley; it certainly meets the required criteria for natural beauty. Moreover this special landscape deserves the protection such designation will bring. Visit and support their Facebook page.